This video is a test for improvisor Jane Bunnett. I watched Joe Sorbara conduct a band of university Jazz music students using these full body gestures. He said it was a technique developed by Walter Thompson– Jane, famed improvisor who happened to be Improvisor In Residence at University of Guelph where he teaches, had never heard of it.. So she gave it a try for the first time and let me tape it. 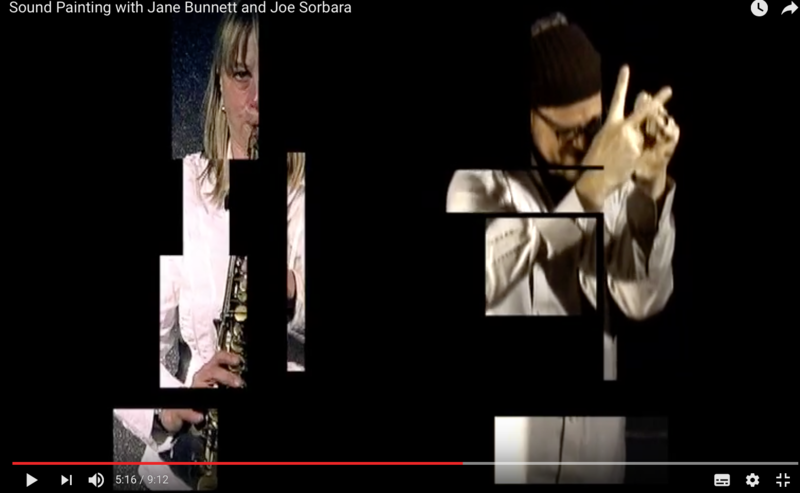 Watch this gestural conducting embodied through Joe’s hands and body and see how Jane reasons with noise. Dancing hands and sound. Editing: Nick Loess.